ETX Capital has a track record of operating in the capital markets that stretches back over 50 years. Founded in 1965 as Monecor London Limited, the group has since then expanded into various markets and incorporated its different activities under the one trading name, ETX Capital, in 2008. 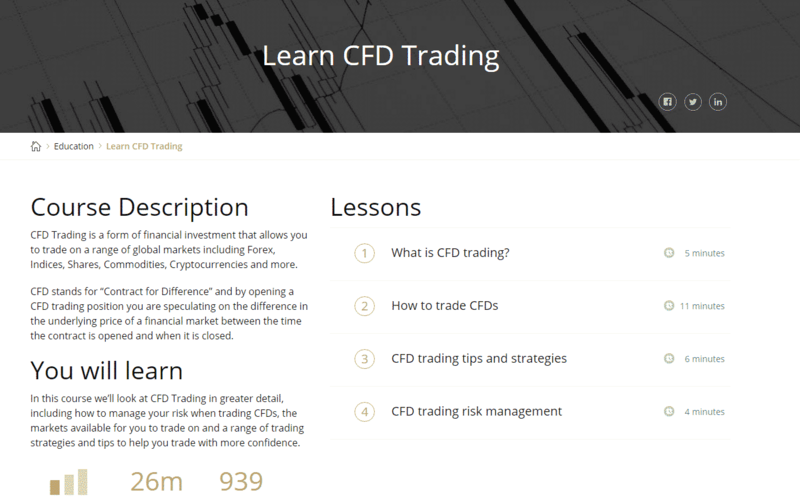 Today it offers CFD trading and spread betting in excess of 6,000 instruments, across 23 exchanges. 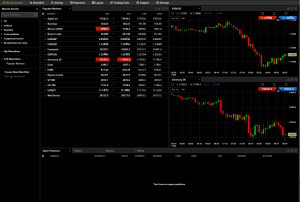 The products available today include: forex, indices, shares, commodities and cryptocurrencies. 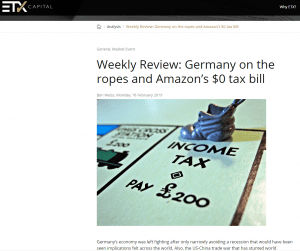 ETX Capital is by no means the biggest player in the sector but successfully provides an agile and competitive service by focusing on core strengths. Offering in excess of 6,000 markets to trade its proprietary platform has some unique features and a very user-friendly feel. Through this platform traders can take advantage of competitive and transparent pricing to access the markets safe in the knowledge that ETX maintain a particularly robust regulatory structure. It’s always a good sign when a broker platform provides clearly laid out details of transparent pricing schedules. 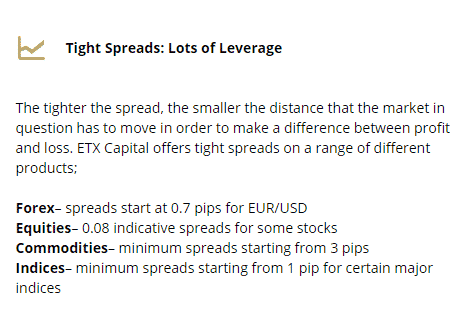 One fact to note is that the proprietary platform TraderPro has tighter spreads than the MT4 version. Another is that pricing is generally transparent and for example, forex pairs are provided commission free. Another benefit of using the TraderPro platform is that it has a field in between the Sell-Buy buttons which displays the size of the bid-offer spread in that particular market. Having this information highlighted at the time of trade provides welcome reassurance. Factoring in the competitive headline rates, transparency and free guaranteed stops, it’s clear to see the commissions and fees offered are a major plus point for ETX. 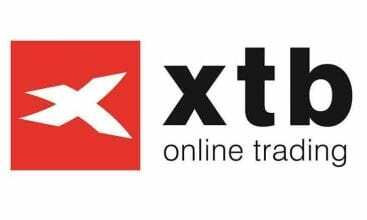 ETX offer traders the use of two main platforms. 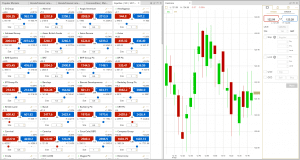 The industry standard MetaTrader 4, which is much known and loved by a lot of the trading community is one of the choices. 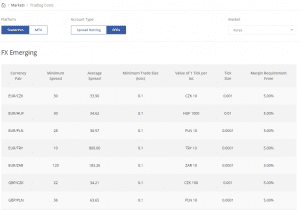 The second platform and their primary offering is ETX’s proprietary TraderPro platform, which has recently been subject to a major upgrade. 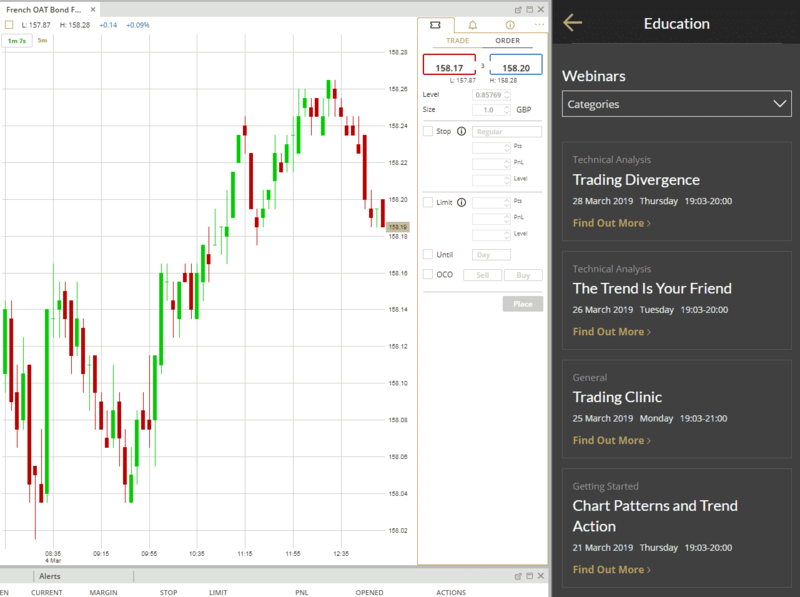 In our testing TraderPro proved responsive, reliable and to possess a few neat features that ensured the general experience was a positive one. 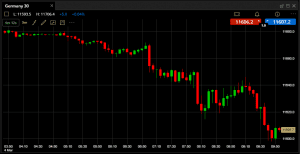 There are also a few glitches to report that whilst not getting in the way of trading would hopefully be resolved. The general feel of TraderPro is that it’s easy to navigate and moving through to trade execution is a streamlined process. 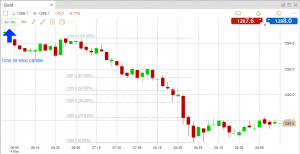 It does come across as a platform designed and developed to appeal to traders using technical analysis. One very attractive function is the ability to take each chart and quickly set up another in that same instrument but with the candlestick time intervals set for different time periods. 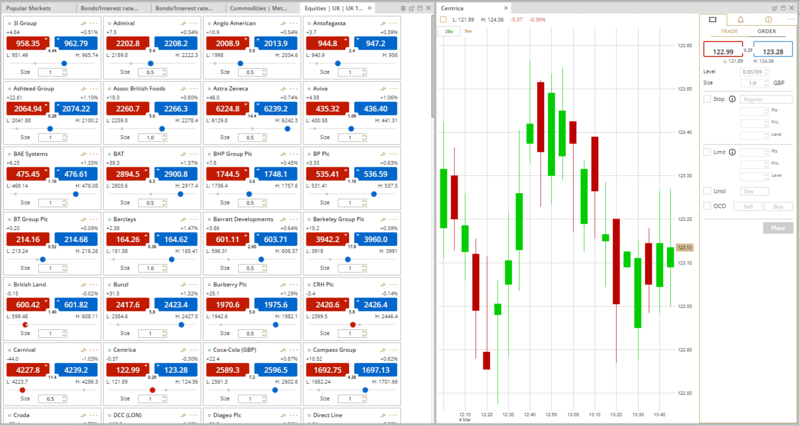 In only a couple of clicks we built a display for the Germany 30 market that compared the same market over 1Day, 1Hour and 5Mins. 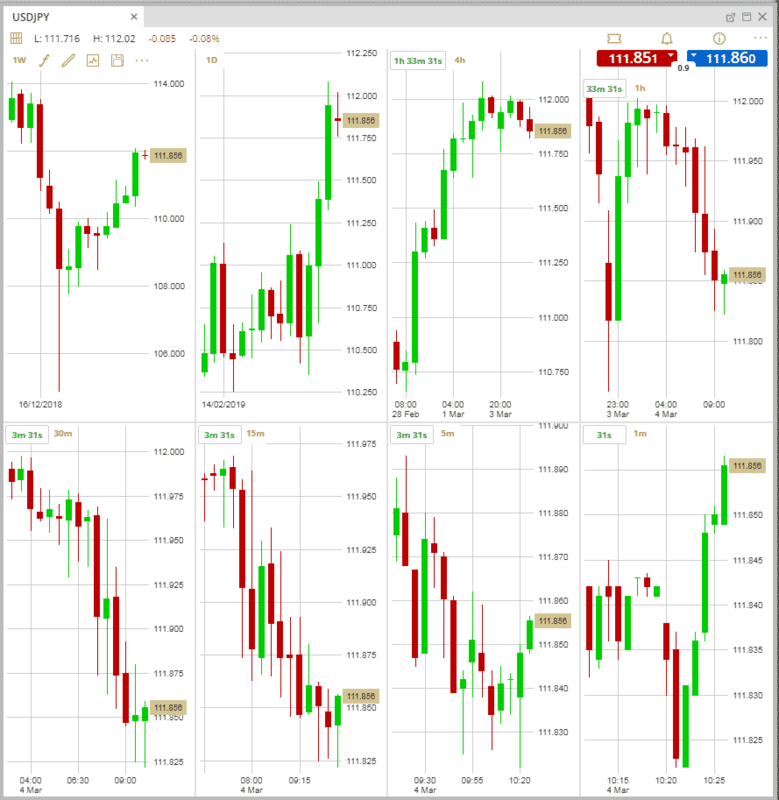 Setting the chart for USDJPY to the 8 screen option meant the display showed time intervals ranging from 1m to 1W. 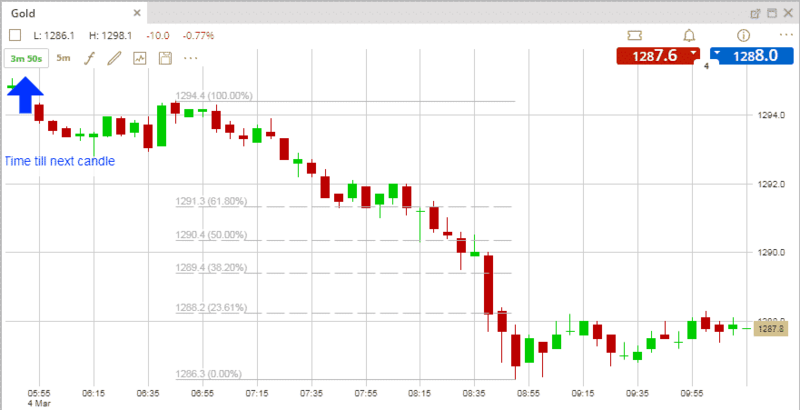 Charts can be opened by dragging and dropping an instrument name on top of another existing one. Interestingly the new chart opens as a new tab rather than overwriting the old, so the previous chart that was open in that monitor isn’t ‘lost’ but can be accessed by toggling back to the previous tab. Another neat feature is the timer window in the top left hand corner of charts showing how long until the existing candle time period ends and the next candle opens up. 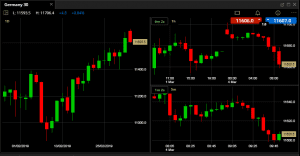 The platform includes all the charting functions, indicators and drawing tools that you would expect to be able to access. 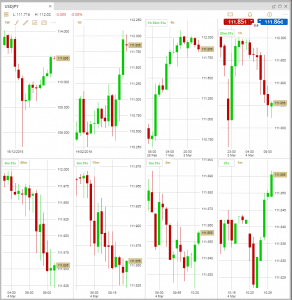 There are over 60 trend-following and momentum indicators including stochastics, Bollinger bands and MACD. The layout is crisp and clear but some of the annotation tools have limited formatting options. Whilst this doesn’t detract from the usefulness of the tools improvement here would be welcomed. The dealer board layout was a place where the neat tricks that have been mentioned came together to give a particularly user-friendly experience. There is no Live Chat option available and the site instead directs traders to submit queries via email or phone. During trade testing we found few scenarios where we would have elected to send an email over picking up the phone so would consider the support to effectively be phone based. Whilst having only one means of contacting support does feel restrictive the staff we spoke with were particularly knowledgeable and helpful. They quickly walked us through some solutions to our technical issues and were very much in tune with requests relating to managing trade execution. This might come about through ETX still offering phone dealing as we certainly felt we were being helped to get over any obstacles in between us and the market. 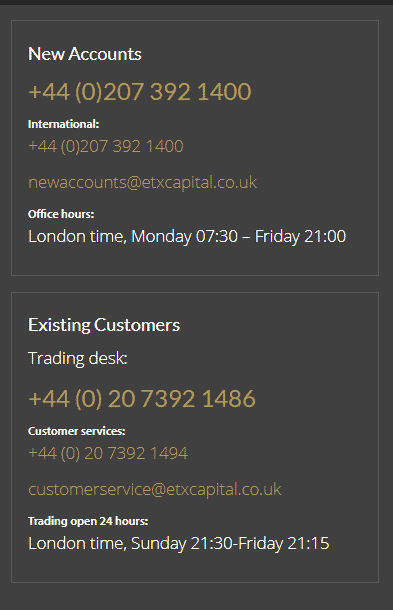 ETX Capital provide support in a wide range of languages including: English, German, Spanish, French, Polish, Czech, Greek and Mandarin. As the support is quite personal in nature coverage could be an issue for some traders. We were informed the dealing desk is open 7.30am – 9.00 pm (London time) and would be able to help with trading or indeed wider issues. The actual customer service desk is open for less time and overnight support is provided by a skeleton staff of highly knowledgeable but potentially overstretched dealing desk staff. One final note on the subject is that we were unable to use the ‘Share your feedback’ service. Given the glitches we had come across we were looking to share details on our user experience but clicking on: Support/Share your feedback, failed to bring up any kind of portal for us to use. ETX provide a minimal amount of online research. Some of the smaller brokers scale back in a similar way but ETX take this to the extreme and limit their offering to a range of webinars. Whilst there is an abundance of (free) research available from other sources it’s slightly disappointing that the contribution from ETX is so limited. There are suggestions of a future link ups to third party research providers, such as AutoChartist, but these are yet to be confirmed. 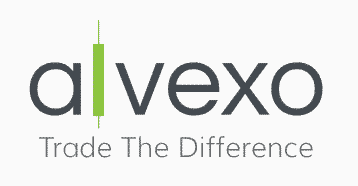 Any trader looking to keep up to date with market news will need to find a service to run in parallel as market news and announcement are again things that are not provided by ETX. From a site navigation point of view it’s a bit peculiar that when clicking on the Education link the right hand side bar is populated by long-dated upcoming webinars. The topics look interesting enough but not worthy of being set up as a default display on the dealing dashboard. 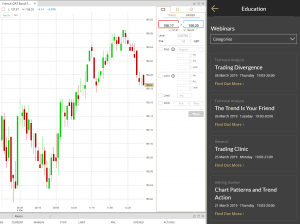 Users that dig around will find tutorials, ebooks and other formats to help them develop their trading. Again, there appears to be a plan in place to concentrate on giving traders easy access to the markets so these materials are kept away from the main dealing dashboard. Away from the TraderPro platform ETX offer occasional analysis reports. 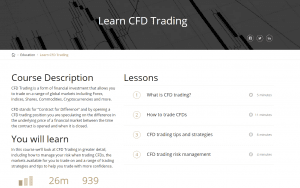 Whilst these are an interesting read and offer background on current topics they are published infrequently and in our opinion wouldn’t necessarily help traders develop new strategies or keep up to date with market news. Looking to summarize the level of research being offered by ETX we’d be looking to mark them down quite heavily, and then, as in other parts of their service, there is a surprising and different additional extra thrown in to confuse things. The ETX Trader Course is an 8 hour program offered to ETX clients and delivered by a third party company that specializes in this field. It’s free to ETX account holders and referred to by the ETX site as otherwise costing in excess of $1,000. Comparing the ETX research and learning offering to the peer group is therefore like comparing apples to oranges. It’s different. There are areas where they are noticeably weaker than others but could be taking the approach that with so much free research provided by other parties they are instead concentrating their efforts on other areas. 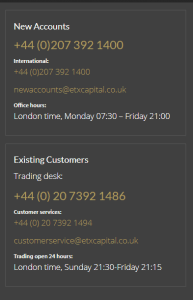 New users are not required to provide KYC documentation to open a Demo account meaning it’s a matter of seconds before they are up and running on the ETX Trader Pro platform. The default opening page is well structured and the basic layout provides a firm foundation for further exploration of what’s on offer. 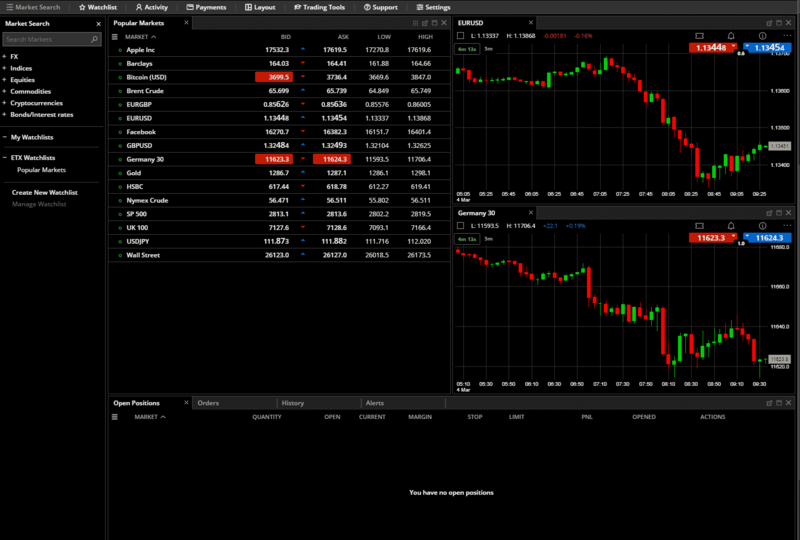 The tool bars on the left and top of the screen point to a range of customization features designed to allow traders to build a platform to suit their trading styles. 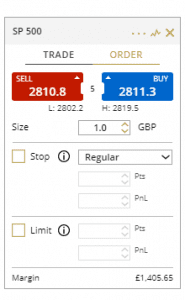 The process around executing trades is particularly user-friendly and trade/order tickets can be accessed by right clicking anywhere on a chart. Traders can at time of trade take advantage of being able to build complex orders and set various types of stop losses (Guaranteed, Trailing and Regular) and add limits to orders prior to execution. The functionality of the desktop ‘Order’ screen is a little bit unsettling. The greyed out data fields relating to losses and limits only become active once the ‘Buy’ or ‘Sell’ buttons had been hit. Our test traders may be a particularly cautious bunch but all declared a strong preference for being able to build all the background details of a trade before hitting Buy/Sell which our testers thought would best be the final action of order building. Chat across the trader community suggests there are a few bugs like this following the system being upgraded and we would expect them to be ironed out. 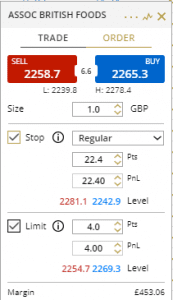 This view supported by the fact that the mobile trading platform does follow best practice and allowed us to book orders with complex stop and limit orders. If you’re a fan of trading by phone then ETX would be a good choice. 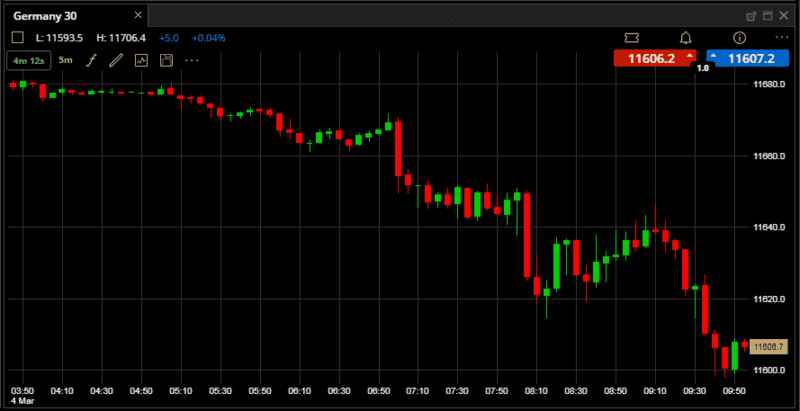 In addition some of the more exotic markets, such as Short Sterling, can only be traded by phone. There are plenty of payment options available to those looking to fund their accounts. 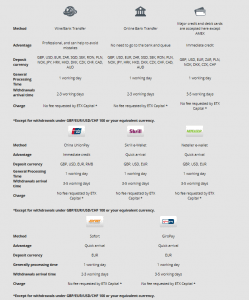 Wire transfers and card payments can be made in a wide range of currencies and whilst users would have to study the terms and conditions associated with their own bank no fee is requested by ETX themselves on transfers over £100 (or the equivalent in other currencies). The mobile app can be downloaded to phone or tablet. The functionality on the mobile version is pretty much identical to that on the desktop which is a great situation to have. In fact, the mobile version had at least one less glitch than the desktop one. Market analysis, the development of strategies and account administration are all possible on the mobile service. The real selling point of the mobile service however, is how it’s obviously been designed to get traders to the point of execution. 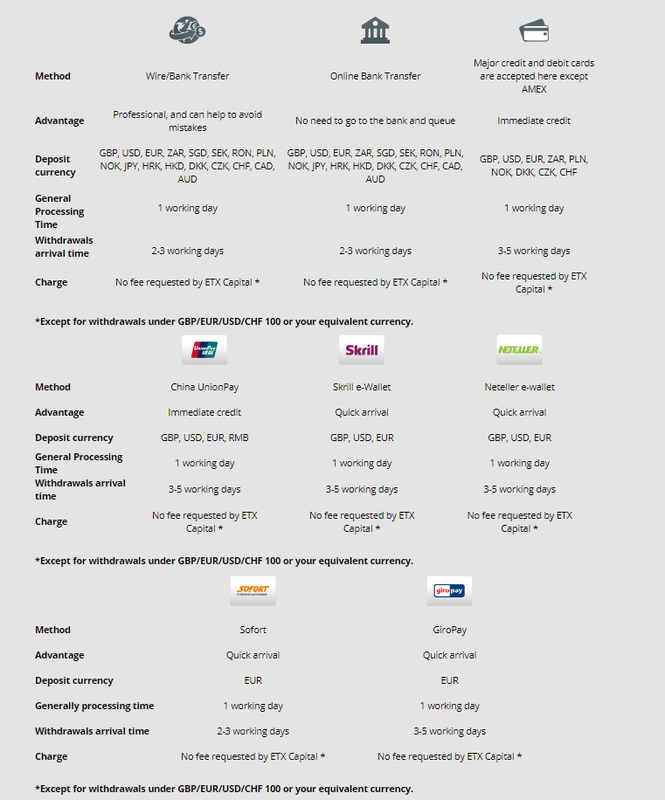 The full range of order inputs is available and open positions can be easily monitored. One slightly annoying querk was that if one of our testers toggled to another screen on their device they’d be logged out of the app and have to log back in. It could have been device specific, but was definitely frustrating. 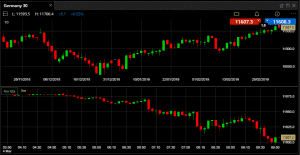 Robo and Copy trading at ETX is limited to that which can be done through MT4. The proprietary platform (TraderPro) doesn’t include functionality for either of these. That being said MT4 is an industry standard tool for those looking to input their own signals or indeed follow those of others. ETX is authorised and regulated by the UK Financial Conduct Authority (FCA). Founded over 50 years ago it engenders a feeling of security and is even a member of the London Stock Exchange. 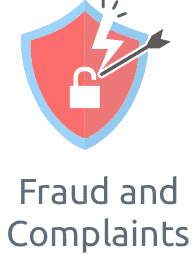 Headquartered in London and with most staff being London based it all in all offers regulatory protection that is up there with even the biggest platforms. The sector that ETX operate in is becoming increasingly competitive and ETX appear to be taking a considered and targeted approach in terms of what they offer. Their strength in fact ironically comes from them not trying to be all things, to all traders. It would be easy to mark them down in terms of the limited research on offer or system glitches that haven’t been ironed out yet; but the fundamental offering remains particularly strong. Building off an exceptionally strong regulatory base they will continue to attract a particular type of trader. 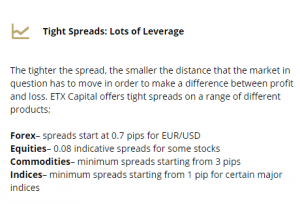 Should you be looking for: a more than average number of markets to trade, with tight spreads, and a user-friendly trading platform then you could fit into that category of trader type that ETX are aiming at.